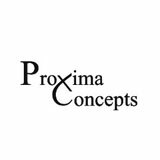 Proxima Concepts has proprietary technologies in the area of oral delivery of peptides and proteins, and delivery of vaccines via the oral route. Positive pre-clinical data obtained is being followed up by clinical trials with oral insulin and calcitonin. Proxima also has a discovery technology ‘Mozaic’ which allows combinatorial screening to be carried out in cell culture and whole animals.